Pauatahanui Wildlife Reserve ponds and saltmarsh on Pauatahanui harbour inlet. Public walks and viewing hide visible. 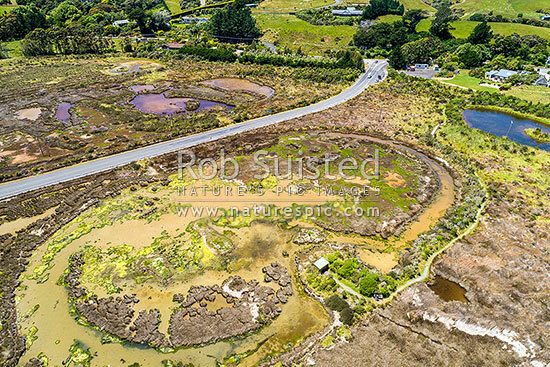 Aerial view with Pauatahanui village beyond, Pauatahanui, Porirua City District, Wellington Region, New Zealand (NZ), stock photo.